Many Superfoods are hard to incorporate into your diet, which is why Dr. Oz is a big fan of wheat germ! It's a powerhouse antioxidant with lots of fiber that can be mixed into almost any meal. 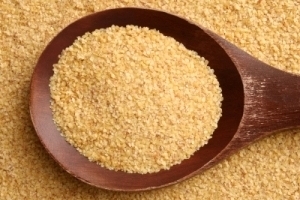 Eating wheat germ can also increase your sense of being full, stabilize blood sugar, and decrease cravings. Add this chap and easy superfood to your meal plan and see how good you feel! Add Greek yogurt, almonds, almond milk and ice to blender and blend to desired consistency. Add berries, banana, and wheat germ and re-blend until smoothie is completely mixed. To your health!